The Soccer Shield Pendant features a black agate silver lined shield with a soccer ball set on it. The soccer ball has traditional black panel detailing and a small diamond set in the center of the middle panel. 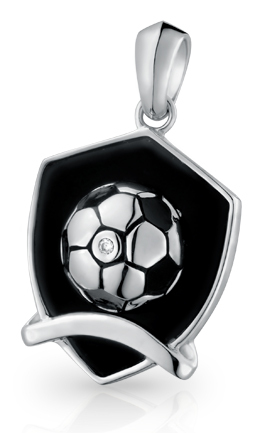 The Soccer Shield Pendant is 925-silver.